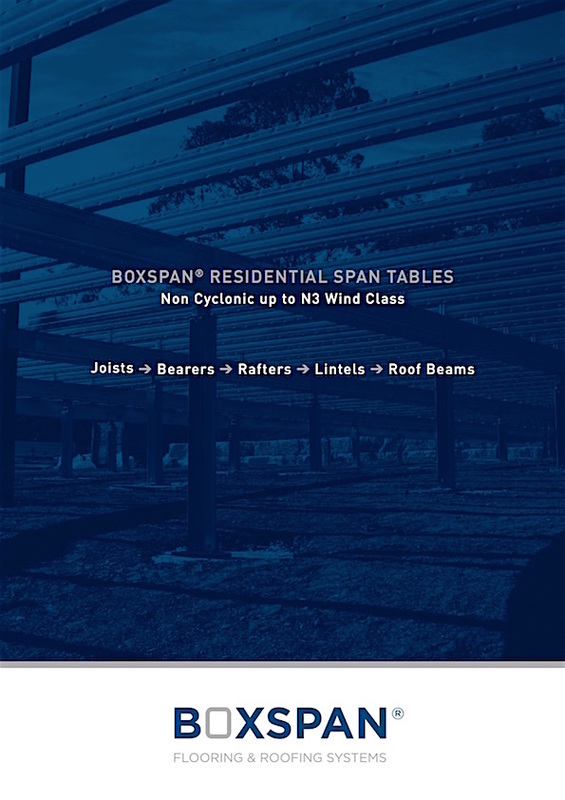 Boxspan – Strong yet light! 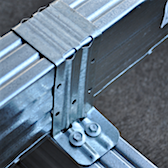 Boxspan is a roll formed beam manufactured from two “C” shaped sections of high tensile, zinc coated steel, mechanically locked together with a patented process. 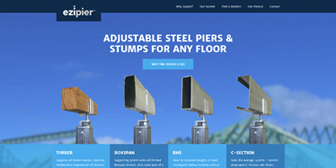 The result – a 40-60% lighter beam with the strength of steel and the versatility of timber. 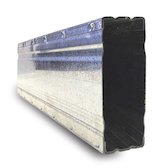 This unique system provides the benefits of a full protective zinc coating on the inside and outside of the beam. 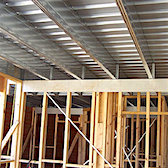 Boxspan beams allow our customers to substitute timber in many structural applications such as sub-floors, decks and roof frames without the concern of termites. 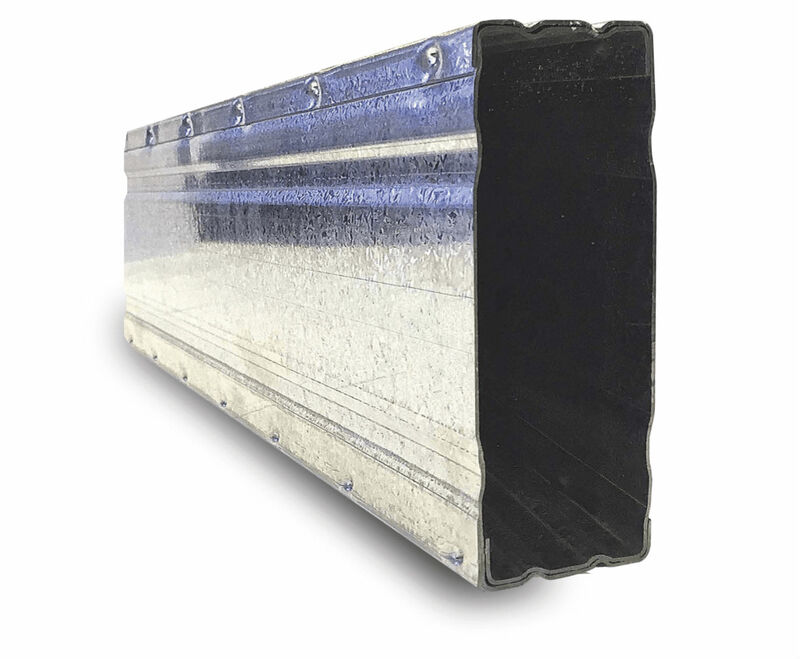 Unlike other steel Rectangular Hollow Sections (RHS) Boxspan® has the unique qualities of having a double thickness flange and a single thickness web that effectively puts the strength where it needs to be. 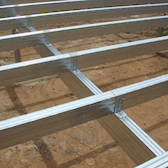 The beam is strong with high torsional stability and is easy to use as it has similar dimensions to timber. 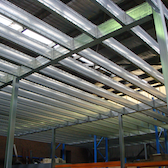 In most applications Boxspan beams require less depth than timber to reach the same span. 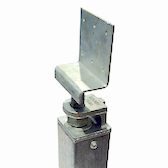 Boxspan comes in a range of varying beam sizes and gauges from 100 x 50 mm to 250 x 50 mm with base metal thickness (BMT) of 0.6mm to 1.0mm. 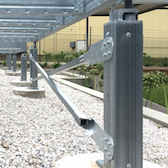 This ensures that an economical Boxspan beam can be obtained for each individual project. 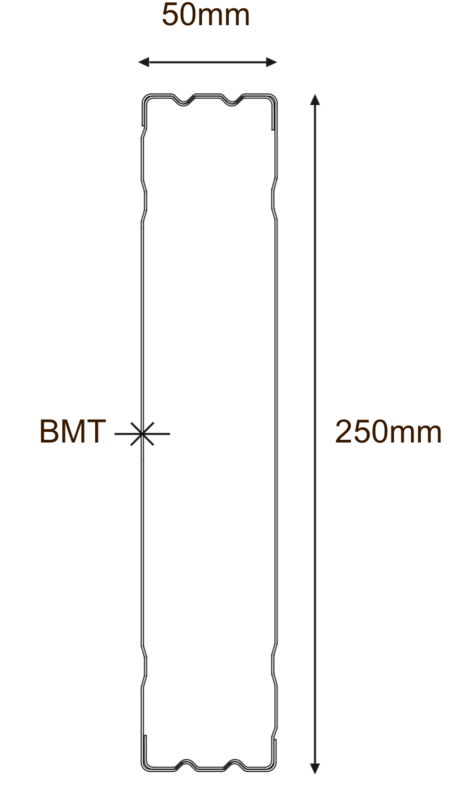 The beams gauge is indicated by the suffix i.e. B100-12. 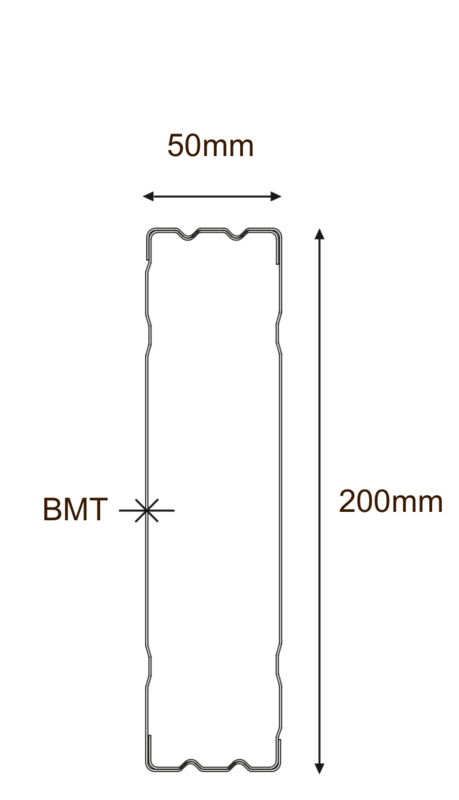 This refers to the total thickness of metal at top and bottom flanges (2 x BMT x 10). 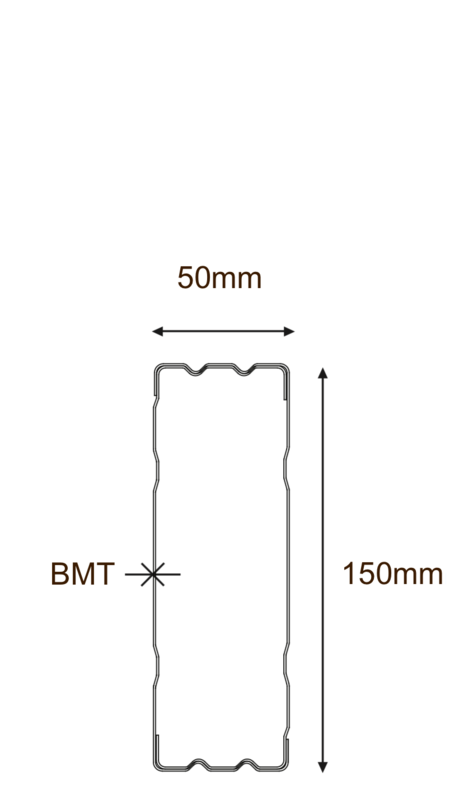 Therefore two layers of 0.6mm metal = 1.2mm represented as “-12”. Cut to length or Stock length? 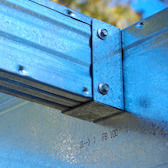 Boxspan beams are produced to controlled tolerances. 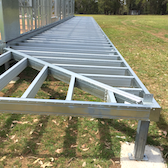 Generally, beams are manufactured to exact length (up to 12.5 metres) and delivered as a designed kit system for a floor or roof frame with no cutting required on site. 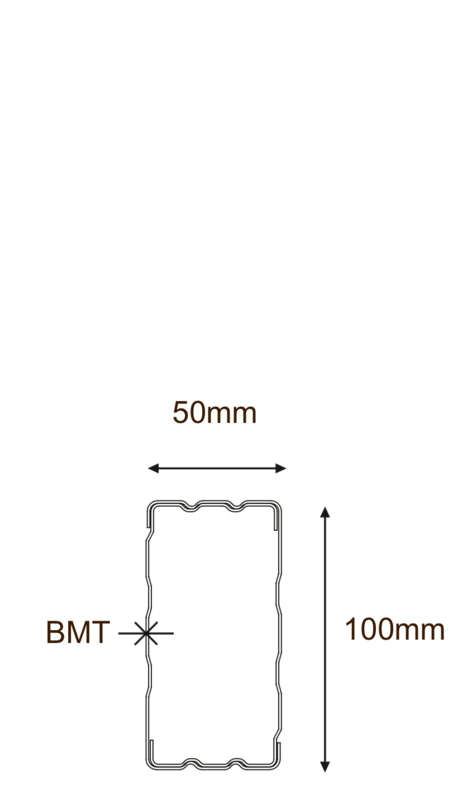 You can also design the frames yourself and order the exact lengths you require. 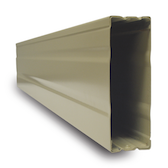 In addition, Boxspan beams can also be purchased from a number of stockists in stock lengths and can be easily cut on site. 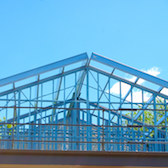 It’s not enough to just have a great beam; it’s also how you go about connecting the beams together to create structures such as floors, decks or roofs. 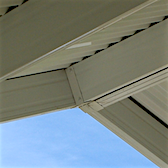 Mitred corners on wrap around decks and joists attached to bearers at acute angles are typical connections we have simplified. 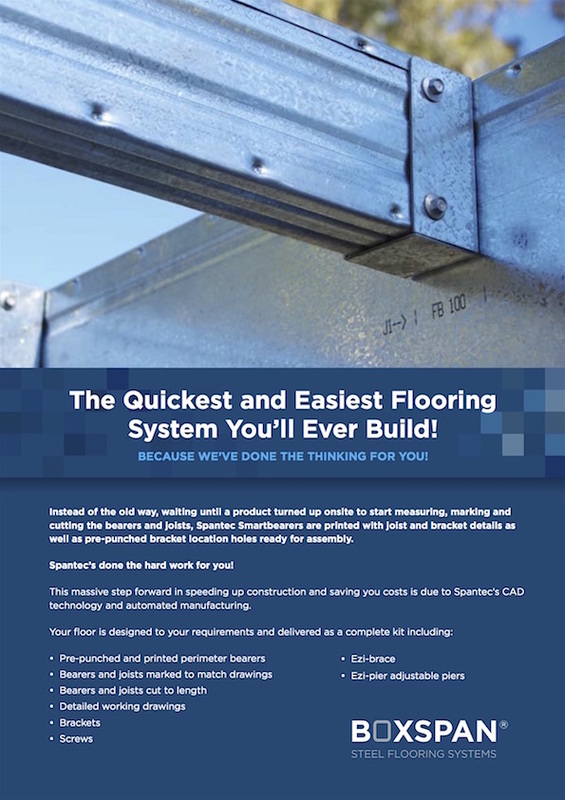 Because we design and manufacture our systems we consider the brackets, the screws and the beams altogether we don’t leave it to chance for others to fix.